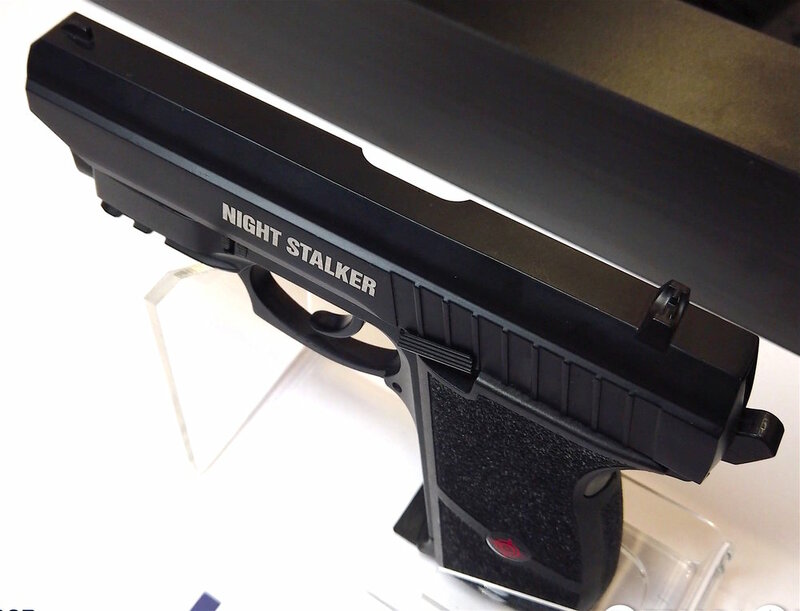 I’m a bit late getting this one out, I was a bit distracted yesterday and not with your typical Valentines day events. 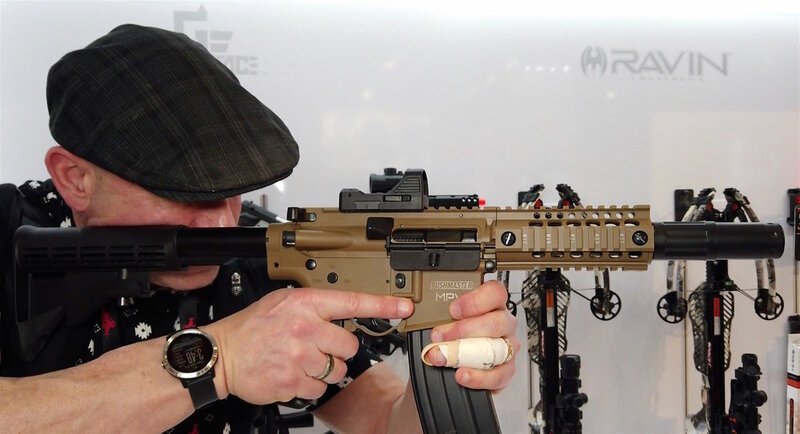 Sometimes life get’s a bit in the way. 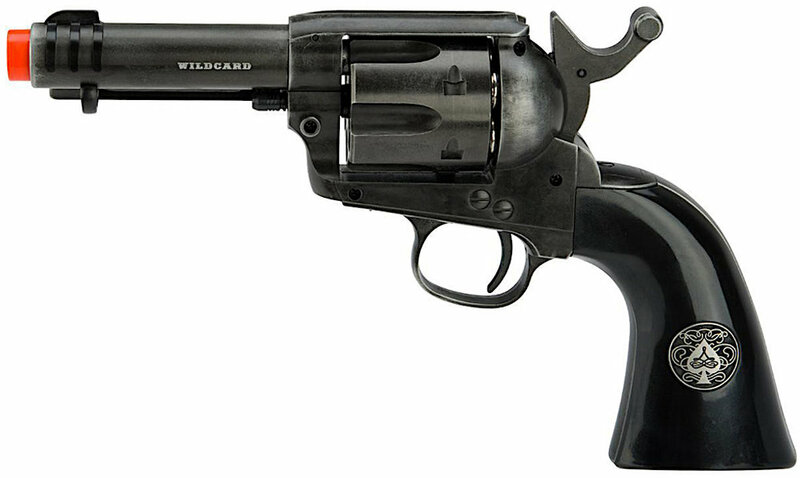 So here’s the deal. 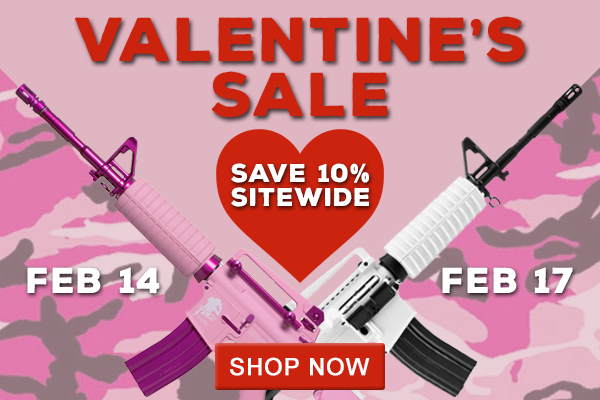 Save 10% Site-wide from Feb 14th till Feb 17th. 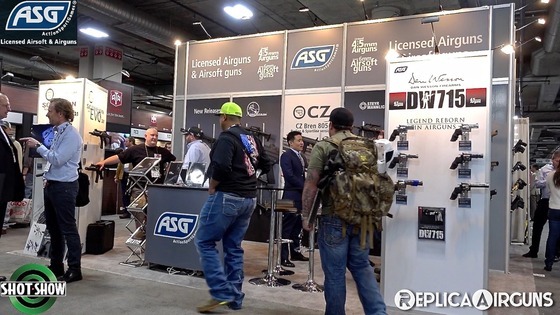 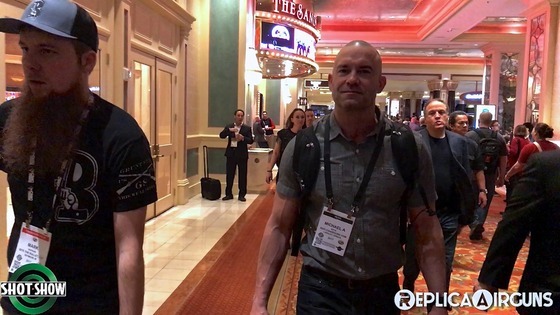 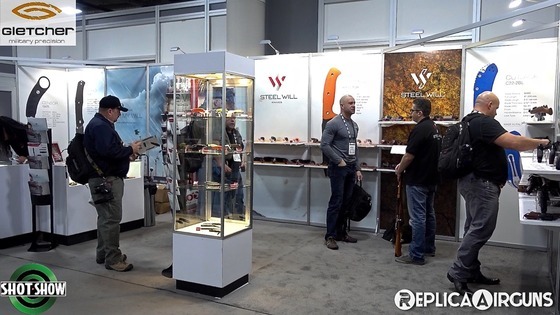 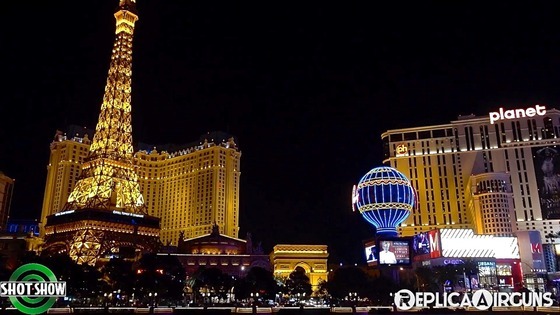 My last Interview for SHOT Show 2017 in Las Vegas, well at least till next year and I am already looking forward to going back and doing it all over again :) I met with Boris Shekhman from Gletcher and Boris showed me several of their Gletcher Airguns along with a new accessory introduced this year. 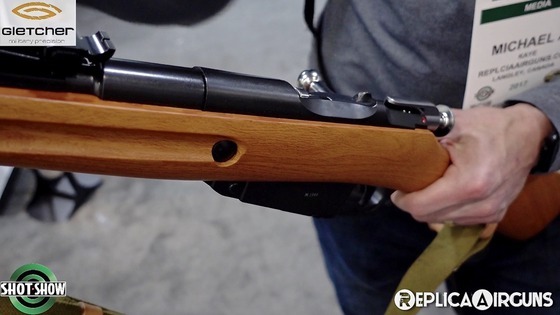 Probably the highlight at the Gletcher booth was the Gletcher M1944 Mosin Nagant CO2 4.5mm Steel BB Bolt Action full stock air rifle! 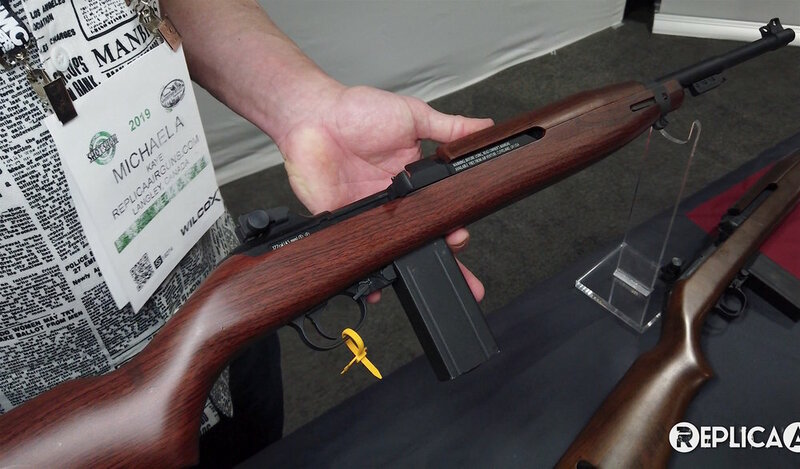 I already reviewed the Gletcher M1891 short stock version but have been really looking forward to seeing the Gletcher M1944 Mosin Nagant in person. 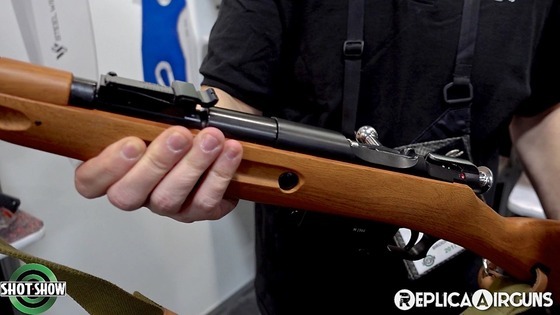 Interestingly, Boris was asked by the SHOT Show staff to remove the Gletcher M1944 Mosin Nagant from his display because the real metal swing out bayonet was a concern for them. 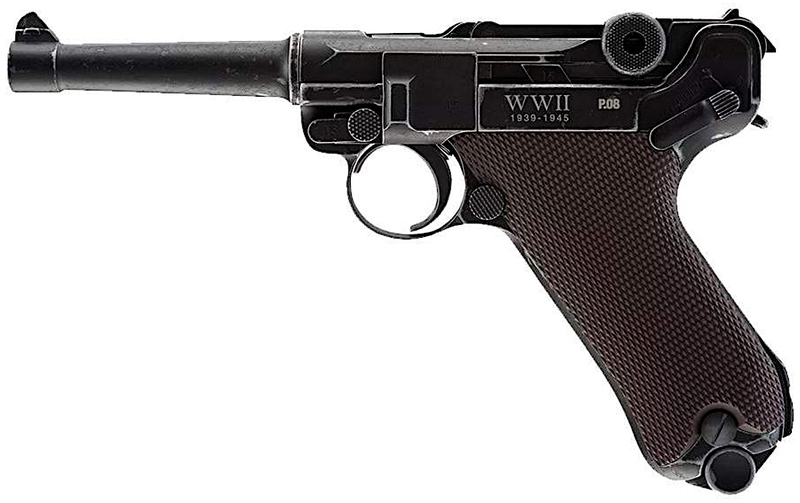 Boris was kind enough to bring out the Gletcher M1944 for me to see and video for everyone. 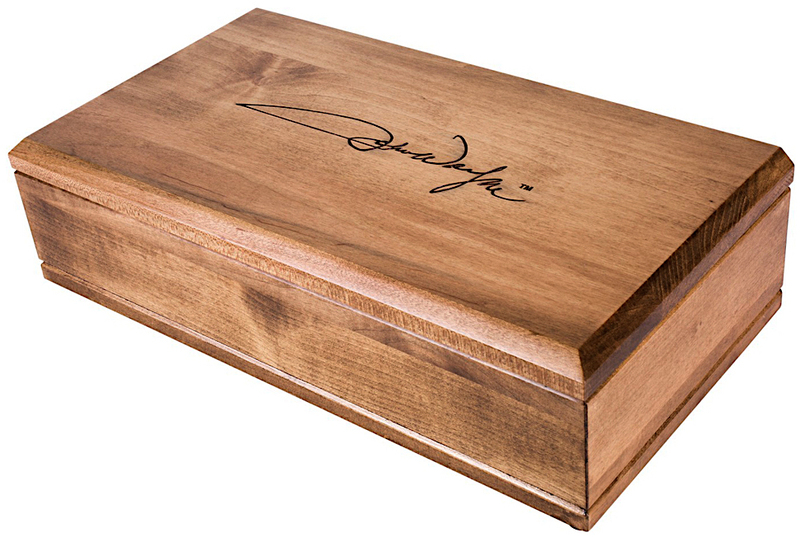 The full stock however is not real wood but you need to look super close to figure this out as the reproduction is incredible. 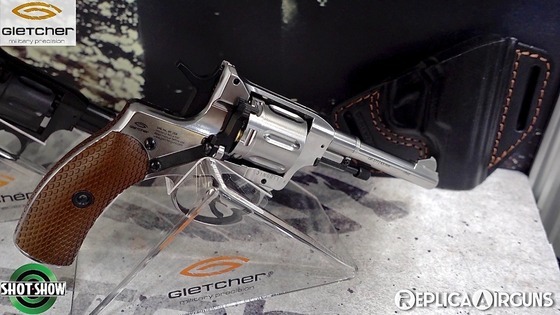 We took a look at another Gletcher Airgun I have reviewed in the past, the Gletcher NGT and Gletcher NGT R which are very acurate Steel BB and Pellet shooting reproductions of the Belgian Nagant Revolver. 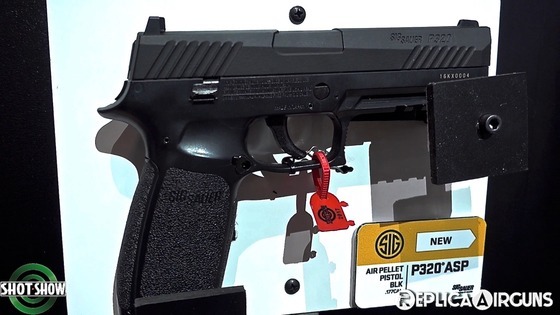 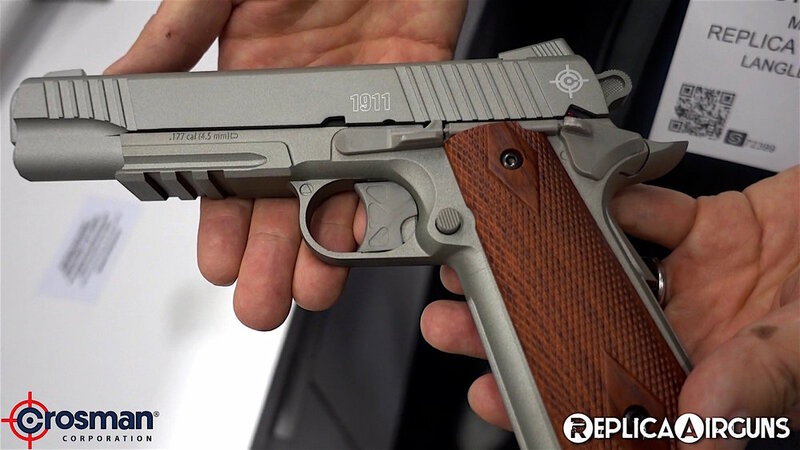 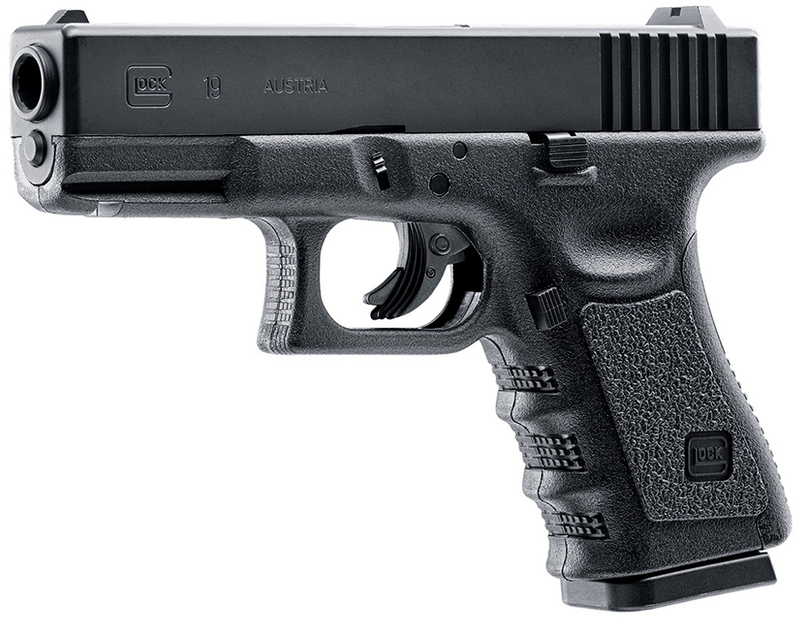 Both these BB and Pellet shooting NGT's are getting a slight make-over with the addition of a safety on them, the real steel versions do not have a safety but some dealers felt it was a concern so Gletcher moving forward will be including a safety on all new NGT's. 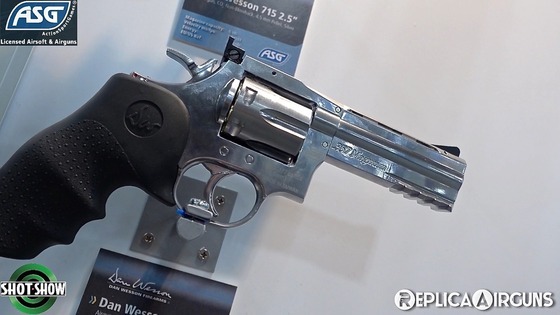 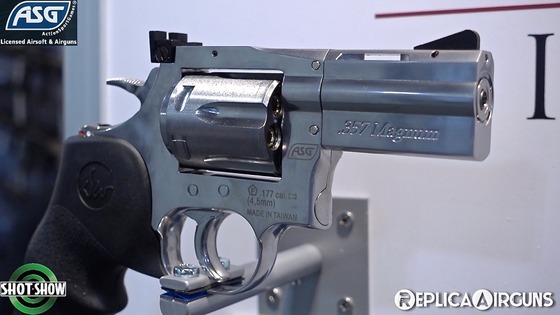 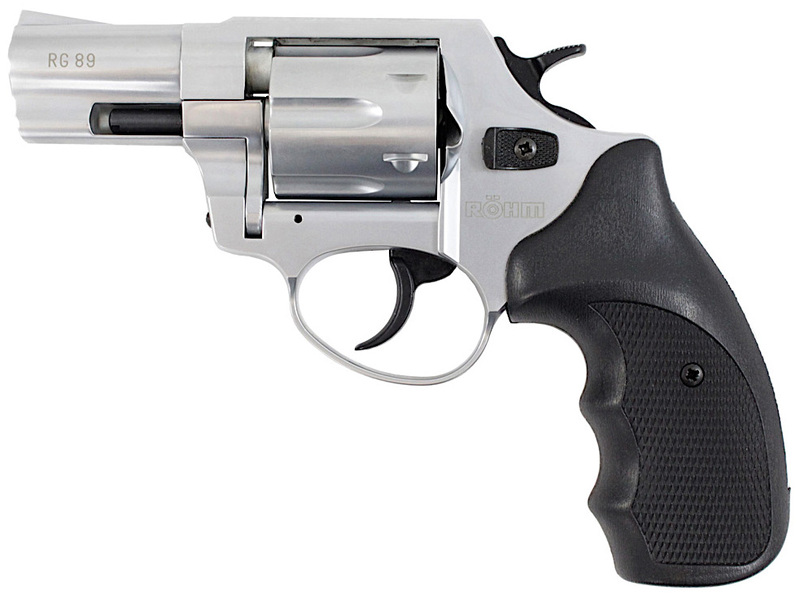 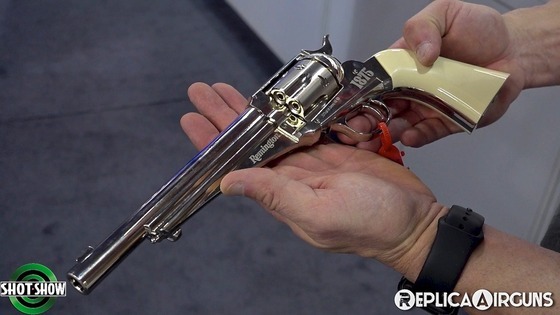 So if you want a more original Gletcher NGT Nagant Revolver then hurry up and pickup the older non-safety versions while they are still available! 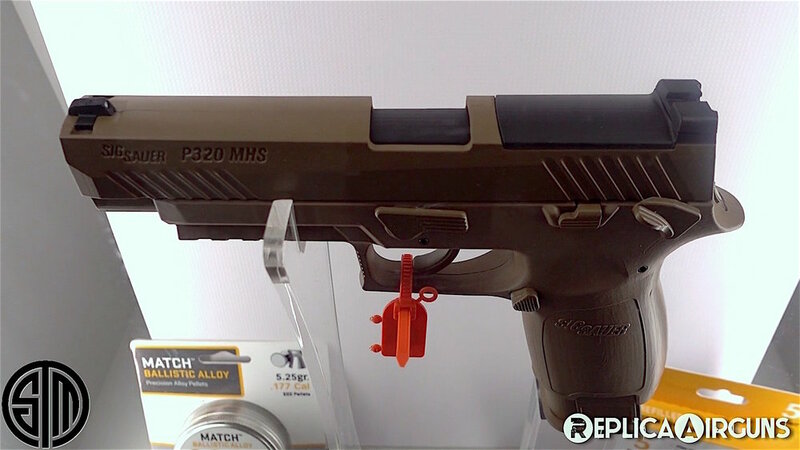 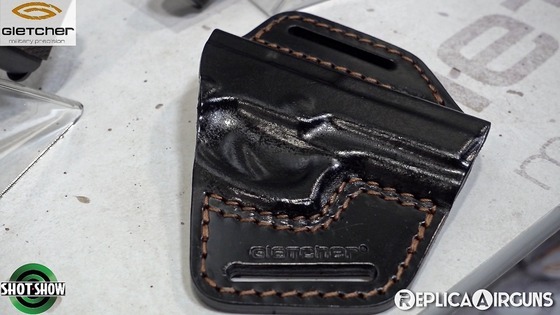 Last on the list of new products from Gletcher are some really great looking leather holsters that not only work for several Gletcher airgun products but can also be used for the same real steel versions. 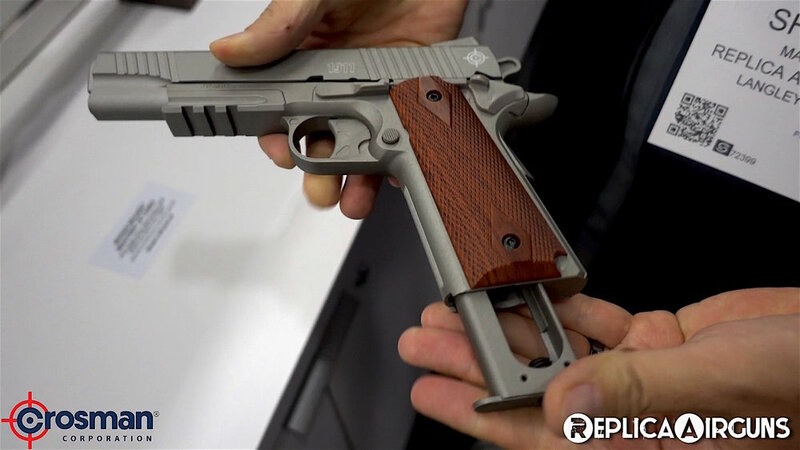 Some of the pistols these new leather holsters will accommodate are the Gletcher TT Tokarev, 1911, Grach, PM 1951 Makarov, and the Stechkin. 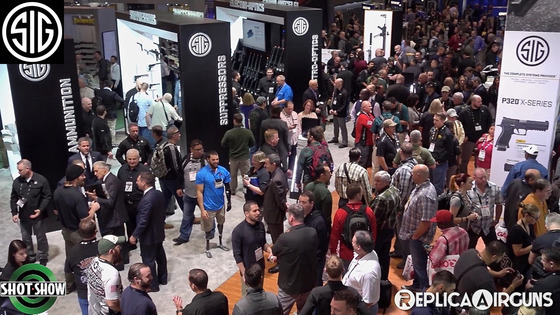 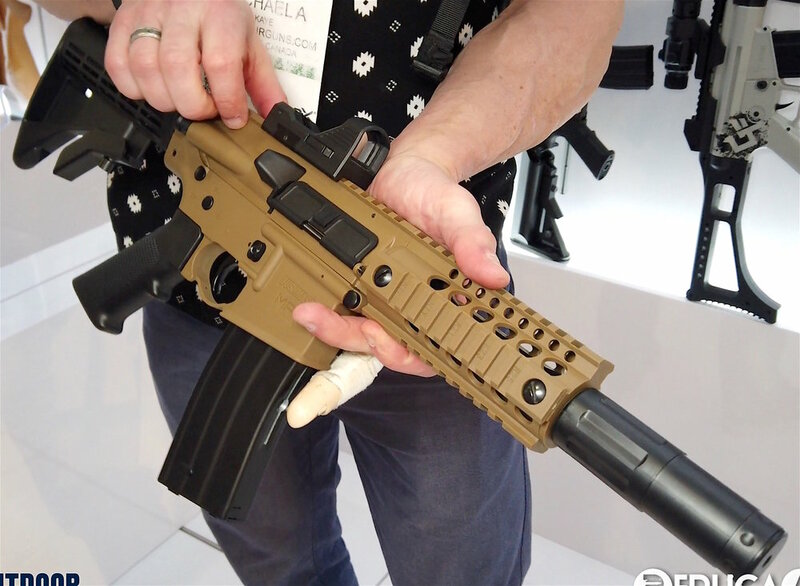 Next up from SHOT Show 2017 in Las vegas, I bring you my Umarex Interview with Bradley Burgin! 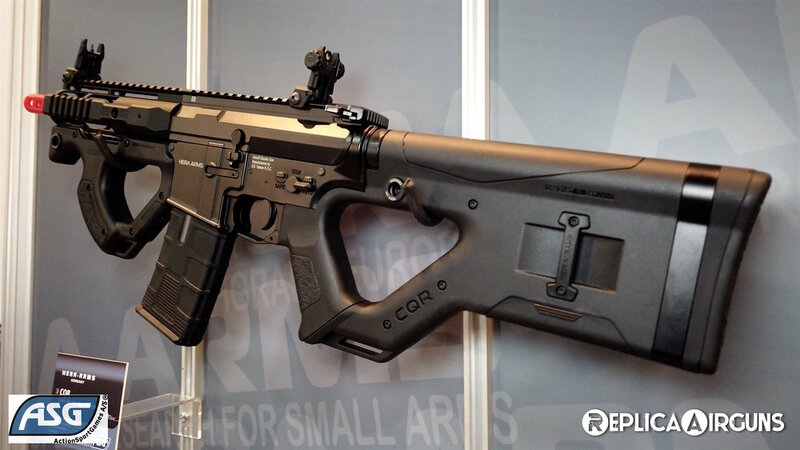 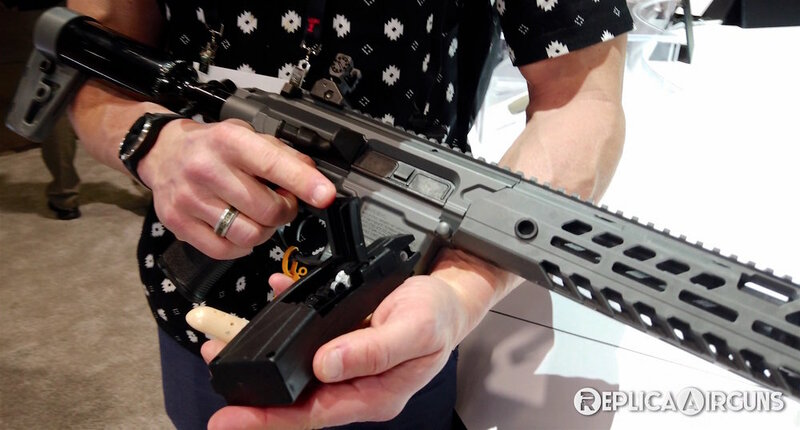 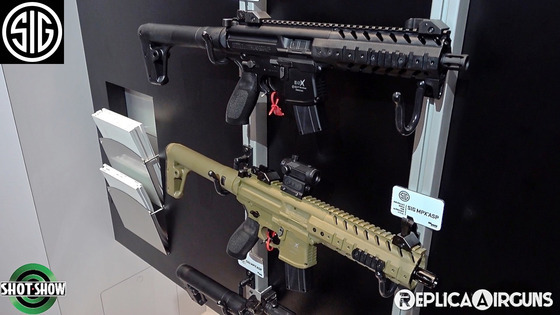 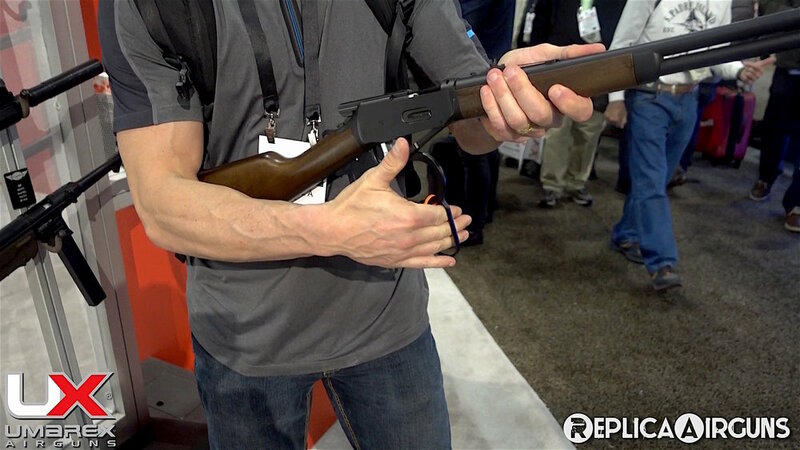 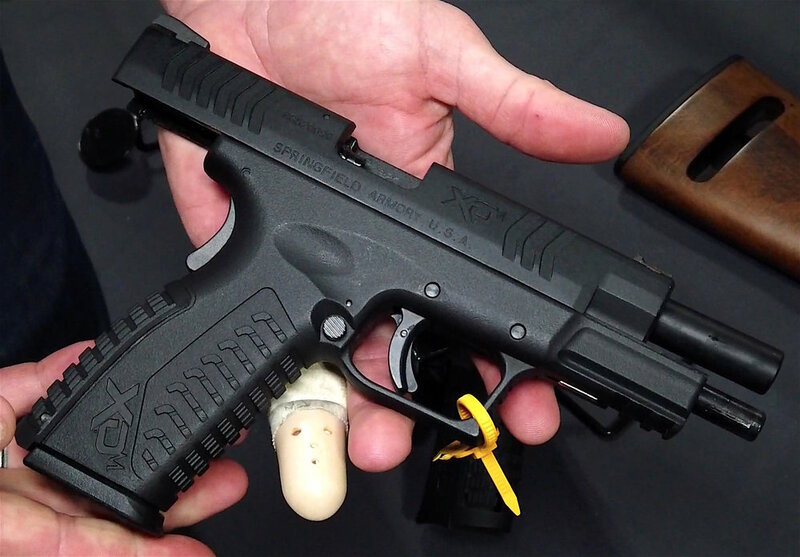 Bradley showcases two new pistol from Umarex Airguns. 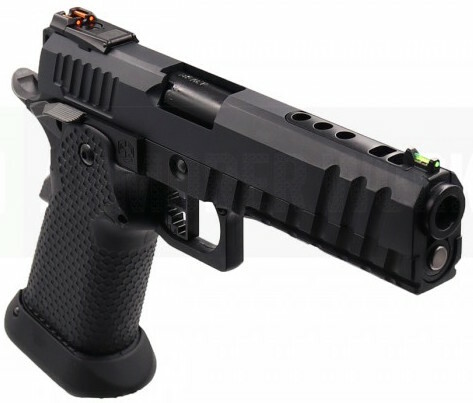 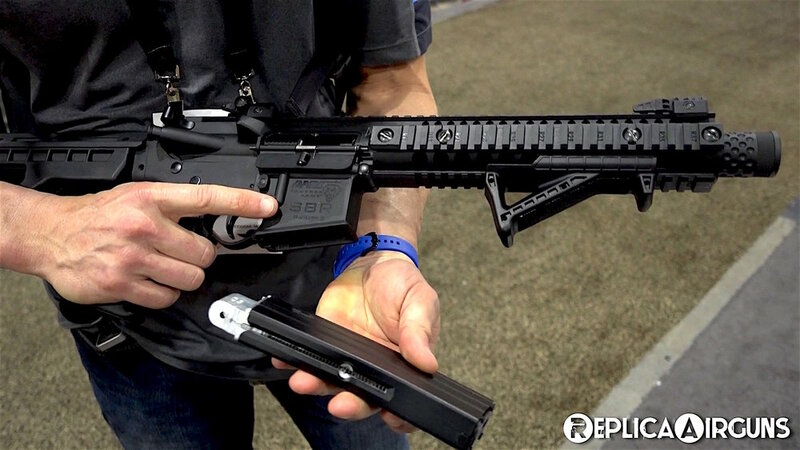 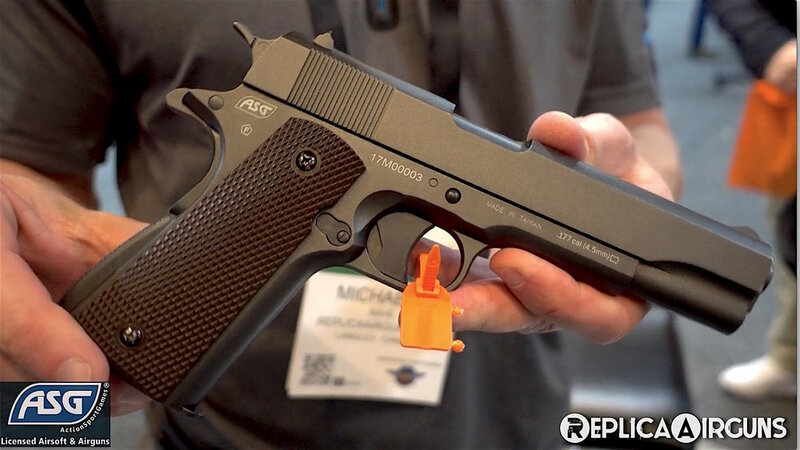 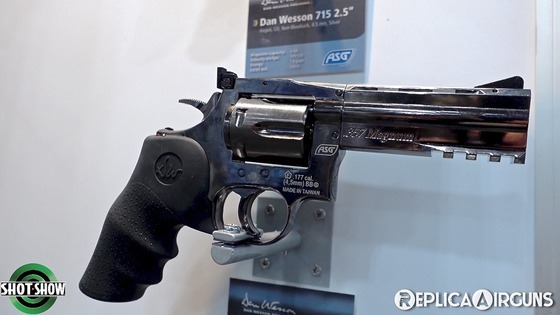 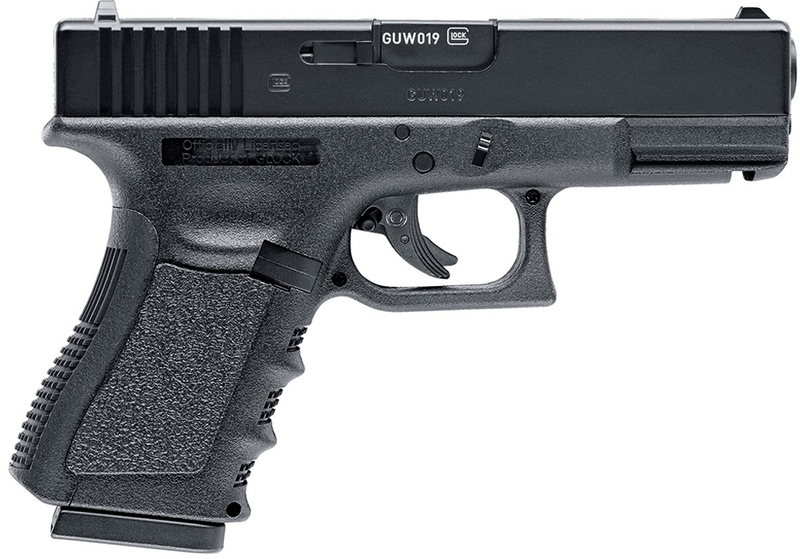 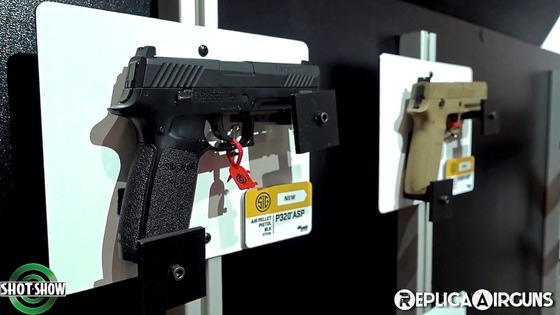 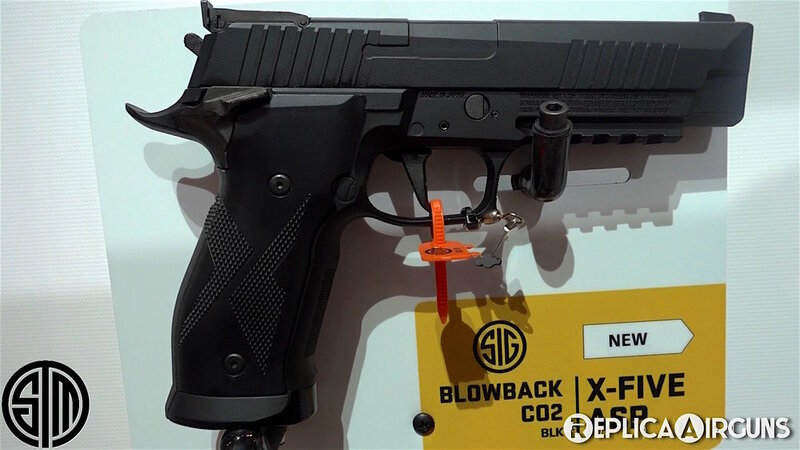 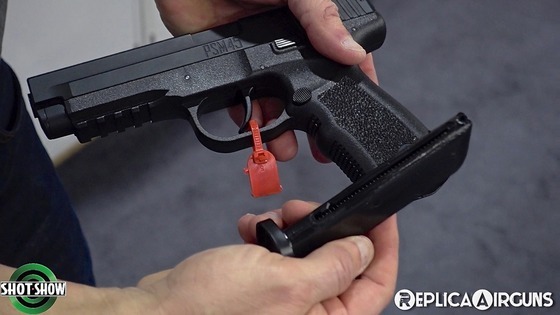 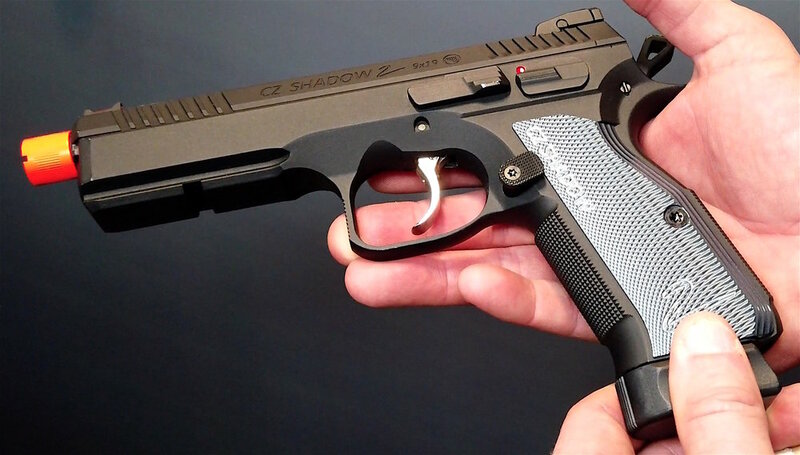 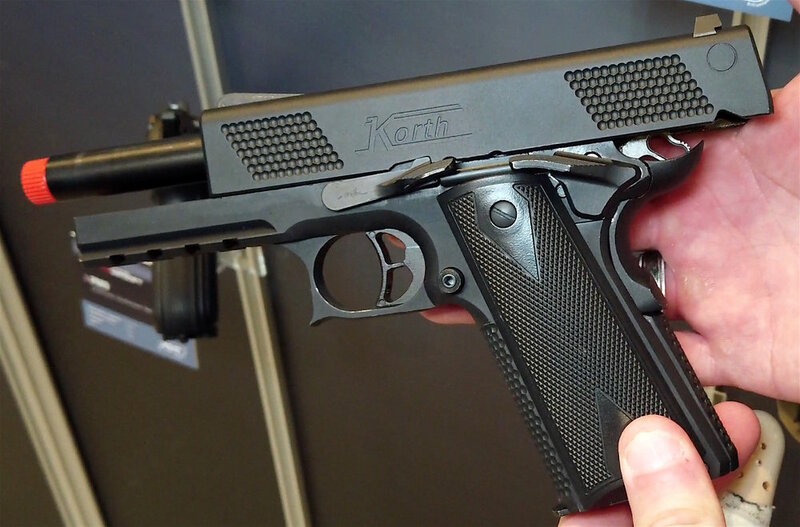 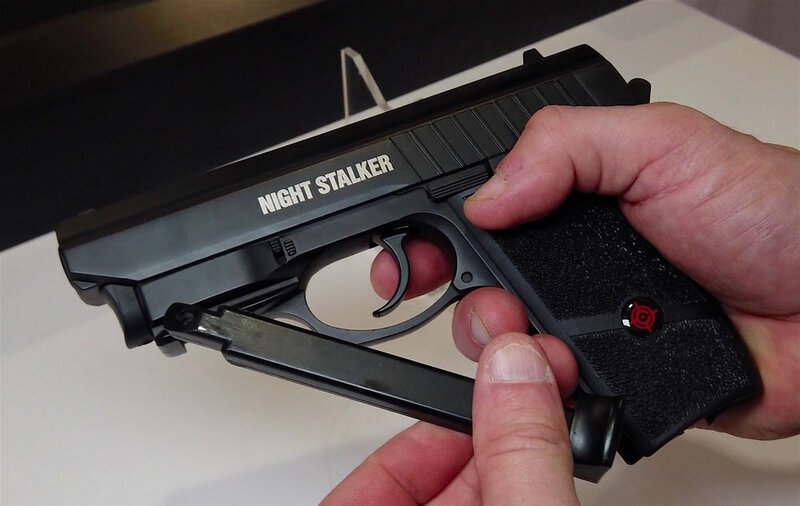 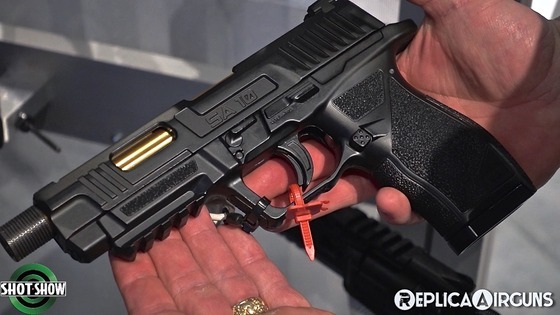 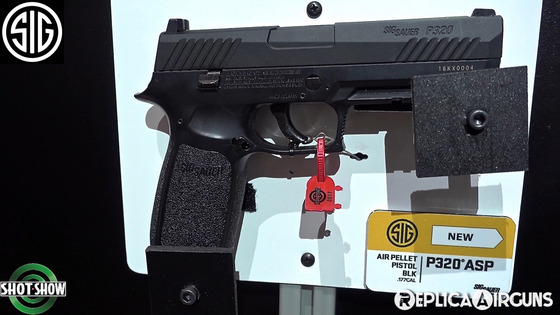 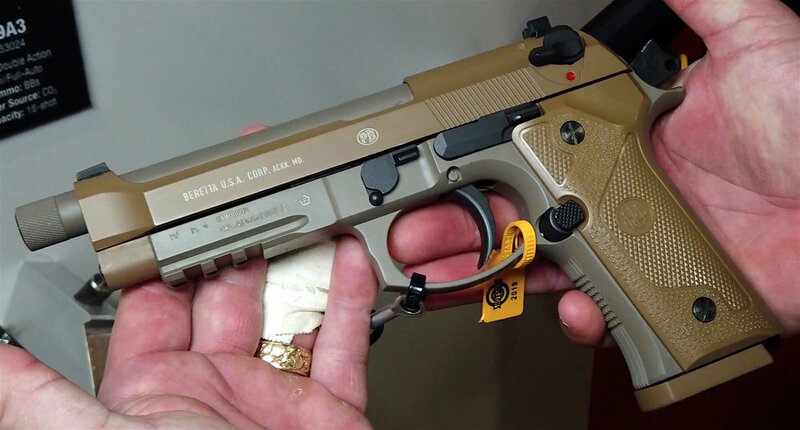 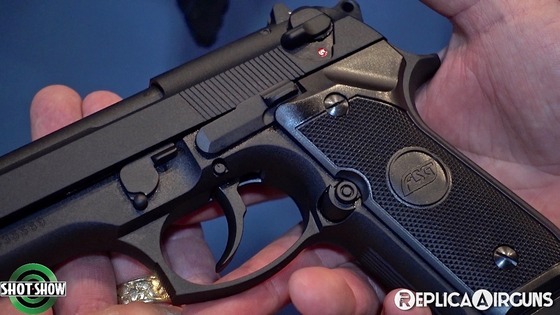 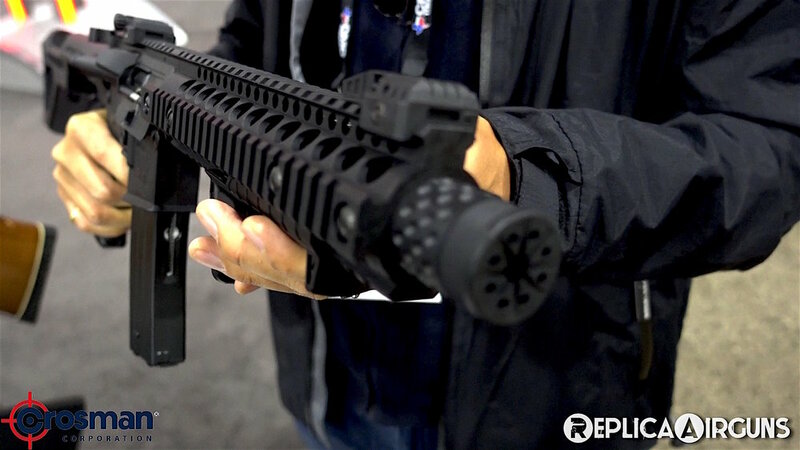 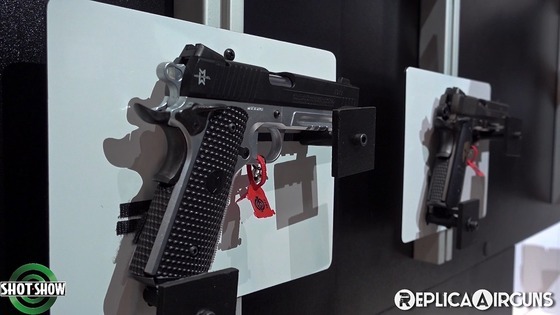 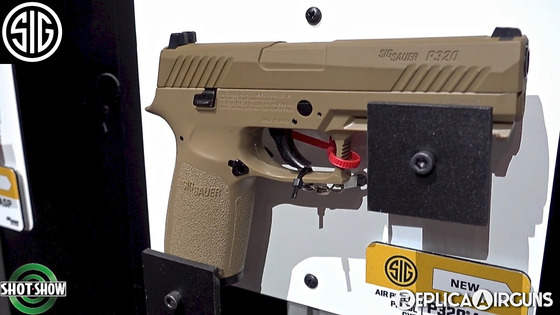 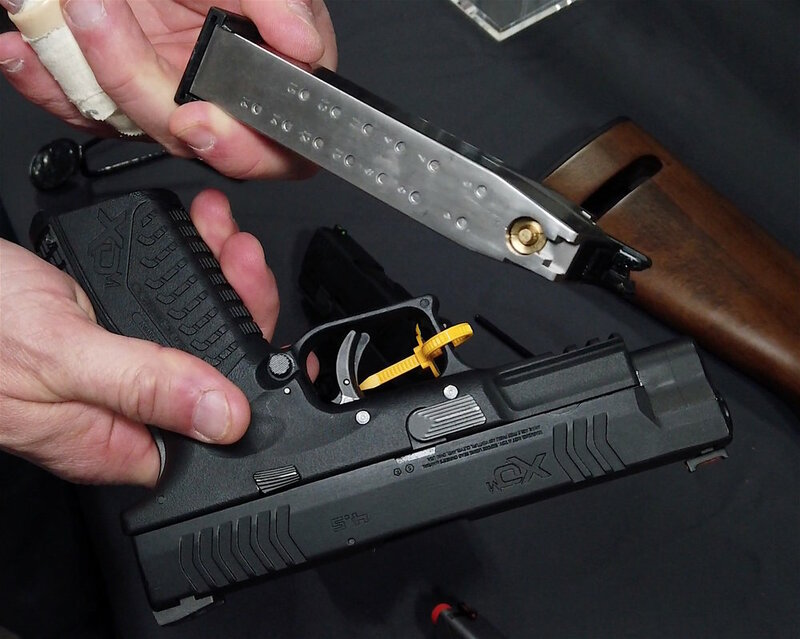 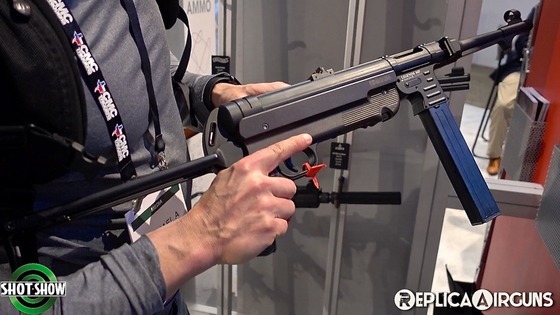 First we take a look at the Umarex SA10 CO2 Blowback Pellet and BB Pistol. 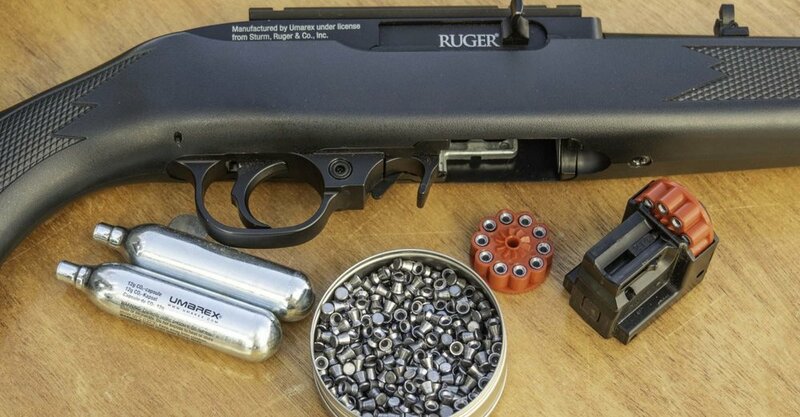 The Umarex SA10 has a unique full size drop our metal magazine that not only holds the CO2 but also houses 4 8 shot rotary magazines that can be pre loaded and then hot swapped as required. 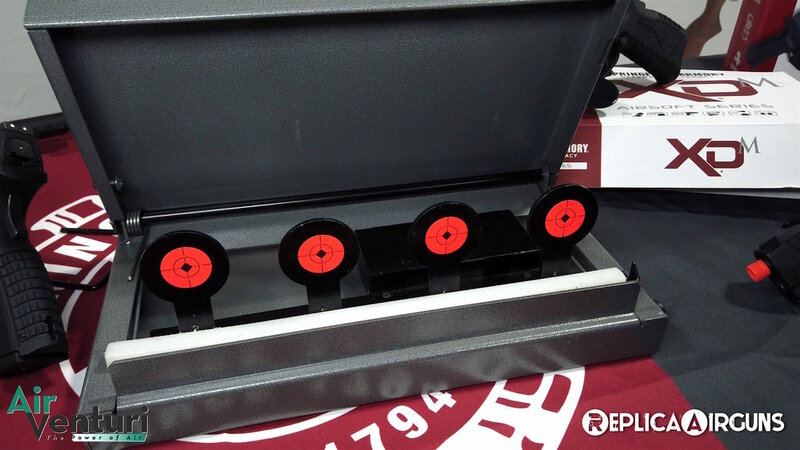 Each 8 shot rotary magazine can be loaded with either 4.5mm Steel BB's or .177 caliber pellets. 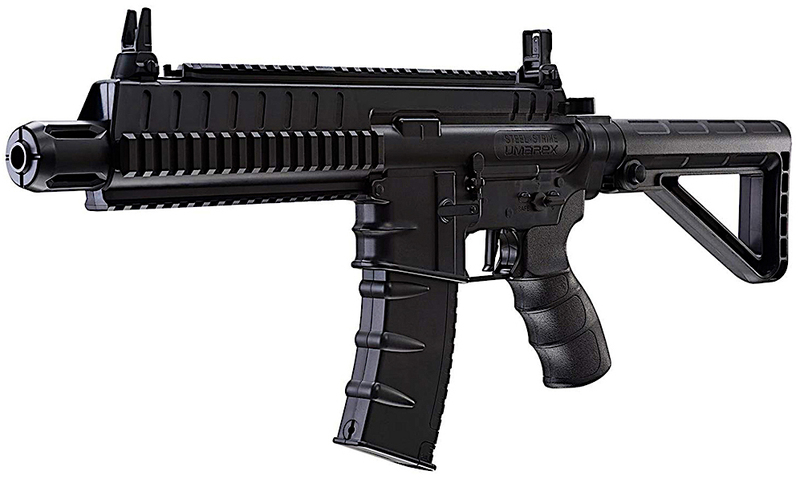 The Umarex SA10 comes in at a hefty 2 pounds and can shoot up to 426 fps. 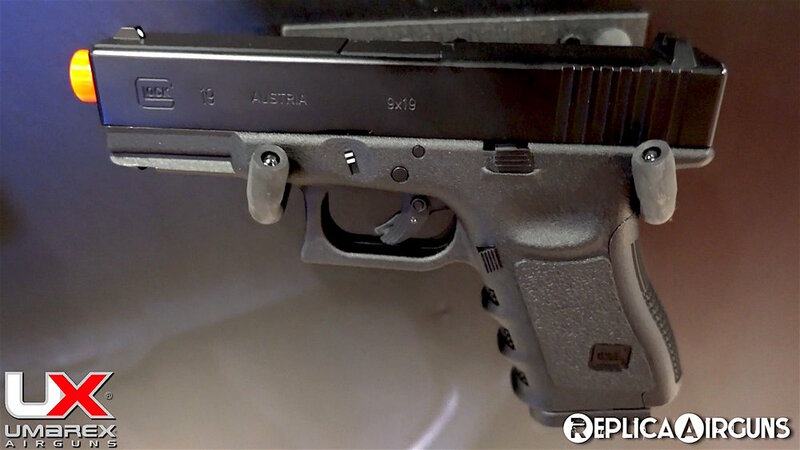 The barrel is also threaded for attaching an optional mock silencer. 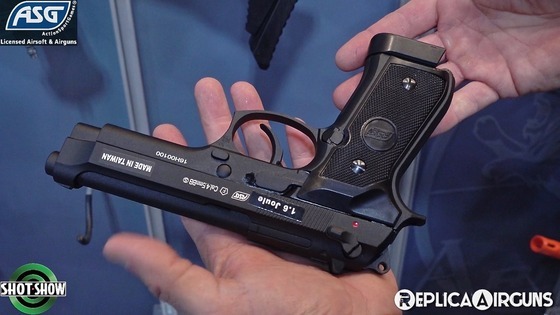 Next up Bradley showed me the ultra realistic and fully licensed Beretta APX which is a Blowback CO2 BB Pistol that like its real steel big brother has a locking metal slide and polymer frame. 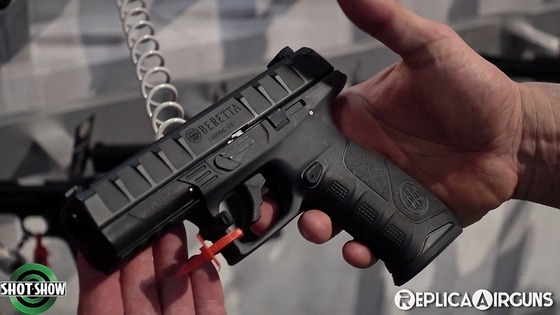 The Umarex Beretta APX has a 19 round stick magazine and shoots 4.5mm steel BB's at 400 fps. 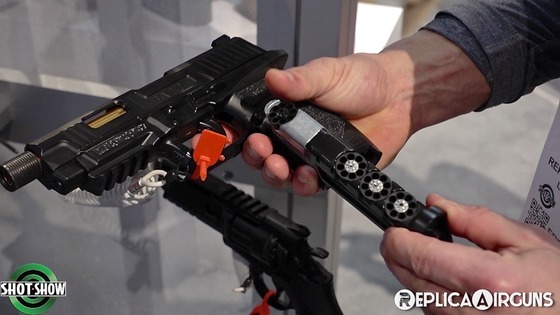 Last but not least and perhaps the most exciting product from Umarex for me was the Umarex Legends MP. 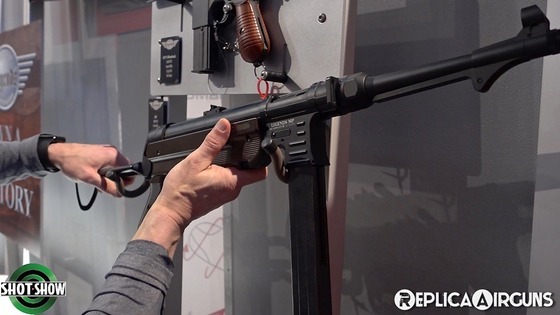 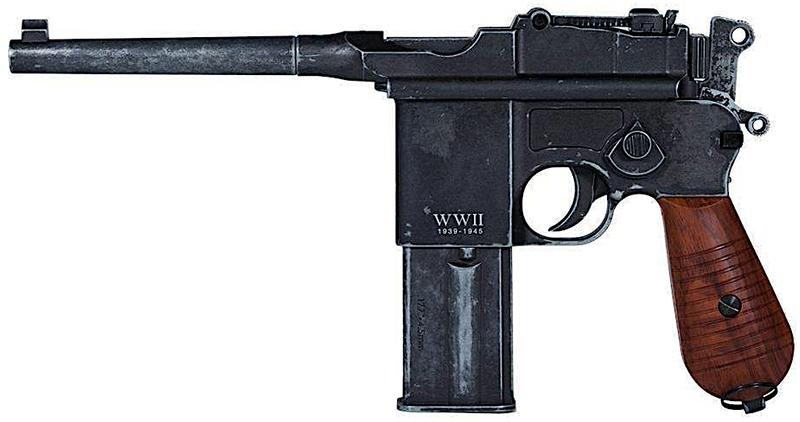 The Legends MP is a replica of the German MP40 submachine gun and even has semi and full auto selectability! 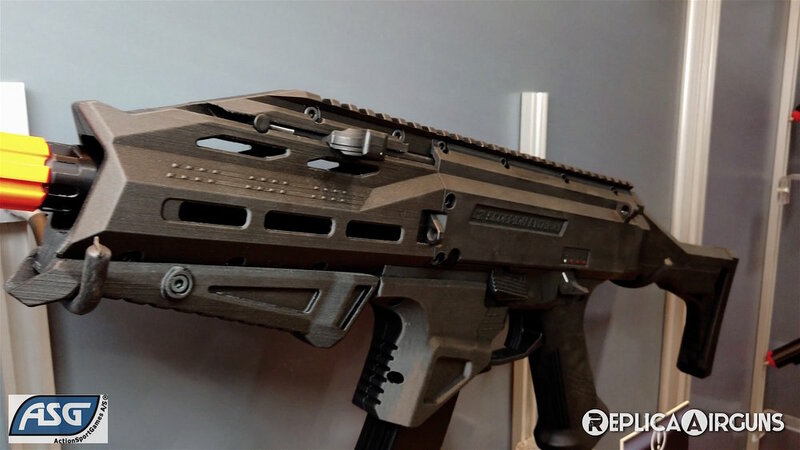 The Umarex Legends MP is a mostly metal rifle and comes in at 7.7 pounds. 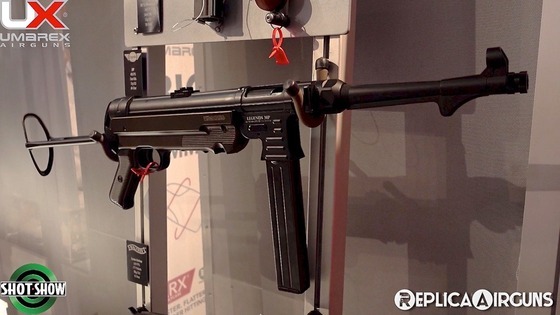 The full size magazine holds two CO2 cartridges along with 60 4.5mm steel BB's for an almost endless supply of ammo :) The Umarex Legends MP like the real German MP40 has a metal folding stock and propels steel BB's at 400 fps.